Jennings played for Strathaven Academy, Earnock, and Asfield before winning a Scottish Juvenile Cup-Winners’ medal with Cadzow St Anne's. He was rejected by Spurs after trials in 1919. He joined Raith Rovers in January 1921 and was a member of the team shipwrecked en route to the Canary Islands to play in a pre-season friendly in 1923. He soon established a reputation in their free-scoring attack, which also included Alex James and Jimmy McClelland, who netted all five Middlesbrough goals against Leeds in the FA Cup in 1926. He scored three times in fifteen games in 1920-21, twenty-two in thirty-five in 1921-22, eight in thirty-two in 1922-23 twenty-seven in thirty-one in 1923-24 and thirteen in twenty-one in 1924-25 bringing his haul to seventy-three League goals in one hundred and thirty-four games in less than five seasons. An impressive set of credentials that saw Leeds move for Jennings and secured his signature in March 1925. He scored three goals in ten games for his new team in the remainder of the 1924-25 season, but in his first full season of 1925-26 he was an ever-present and topped the list of scorers with twenty-six goals to make him Leeds' highest scorer in one season, breaking Jack Swan's previous record of eighteen. He missed only one game in the following season but with the advent of the new offside laws he scored thirty-five goals, including three successive hat-tricks, a feat equaled only by Gilbert Allsopp in 1939 and Liverpool’s Jack Balmer in 1947, to set a new Leeds seasonal scorers' bench mark, breaking his own record of the previous season. However, despite Jennings’ deadly marksmanship, United were relegated that season. He continued to score at a tremendous rate and would have increased this total but for bouts of blood-poisoning which sidelined him. After one hundred and twelve goals in one hundred and sixty-seven League games he went to Chester City in June 1931. Before John Charles, Jennings held Leeds’ records for aggregate League goals, one hundred and twelve, and the seasonal best of thirty-five. Chester had been newly elected to the Third Division North and as captain he led the team out to face Wigan Borough on 29th August 1931 for the first game at Sealand Stadium in front of a crowd of 12,625. Chester were rampant and although their Outside Left, Hedley, scored the first goal and presented Jennings with an open goal after he had struck the keeper's legs with a shot, the usually deadly Jennings spurned the chance. But he did get the third goal of a 4-0 romp when he met Hedley's corner kick to score after sixty minutes. As luck would have it Jennings pulled up with a leg injury while chasing a through ball from Jones and had to leave the pitch, before Chester got their fourth. The result was later expunged from the records after Wigan resigned from the League that October. Jennings officially scored Chester's first ever Football League goal in a 1–1 draw with Wrexham on 2nd September 1931, as he went on to score in each of the first four games that Chester played at the start of that season. Later in the season he scored Chester's first Football League hat-trick, when he scored all the club's goals in a 5–1 win over Walsall on 30th January 1932. His tally of five goals in one game has only been matched once (by Barry Jepson in 1958) and never bettered by a Chester player in a Football League fixture. 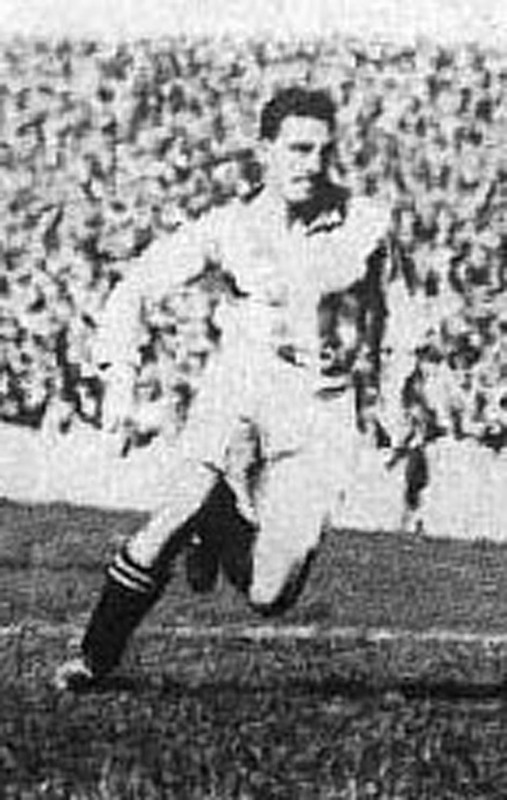 Jennings also scored four times in a 7–2 win over Rochdale on 16th April 1932 and comfortably ended the season as Chester's top scorer, with thirty League goals to his name, the goal against Wigan was deducted as was his appearance data and he played thirty-eight of the forty League games which omitted any of the Wigan games as Chester finished the season in third position. However, he only played nine more League games, but scored three goals, for the club after this and moved on. In League games he scored thirty-three times in forty-eight games. He later managed Bangor City, who he joined in 1933, and Third Lanark from 1934 until 1939. Despite his record, Jennings was never capped by Scotland, although he played in a trial, scoring for the Anglo-Scots in a 1-1 draw with the Home-Scots on 13th March 1928 at Firhill Park. He died in Johnstone on 2nd July 1973, aged seventy-one. His brother, Charlie, was also on Raith’s books.